This week's lesson in Sunday School will be Abram's call. In church, we talk about being children of Abraham, and we even have some cool songs about it. Who was Abraham, and why do we say that we are his children? How can we use this knowledge to deepen our Christian faith and connect us to our neighbors? (Hint: There are many children of Abraham, not just Christians!) Come to Sunday School this week and let us know what you think! God's Global Barnyard is the name of the script we're learning to support this month's Mission of the Month, ELCA World Hunger. 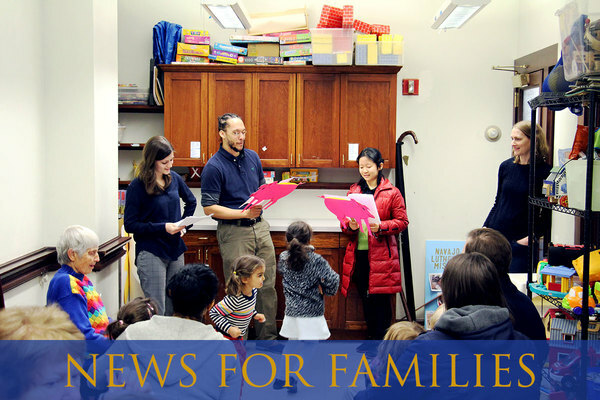 If you would like to be part of our presentation in 9am or 11am worship on Sunday, March 19, join us at Sunday School this Sunday for our last rehearsal! Our next Confirmation Class is this Saturday, March 11 from 9am-12pm, where we'll begin exploring the Apostles' Creed and discuss chapters 5 & 6 in our "Papa Luther" comic books. Please read chapters 5 & 6 in your "Papa Luther" comic books in preparation for this class. Our next Youth Night gathering is this Sunday from 6-8pm, in the Youth Room, next to the kitchen. We'll explore the season of Lent and what it means from a high school perspective, through a variety of fun activities and conversation. Come join us for fellowship, food, fun, and growing in faith together!